Lately, I found myself reading books for teenagers and I must say I feel a bit embarrassed about it. I've just finished reading Ann Brashares's Sisterhood of the Travelling Pants. I like the movie better. 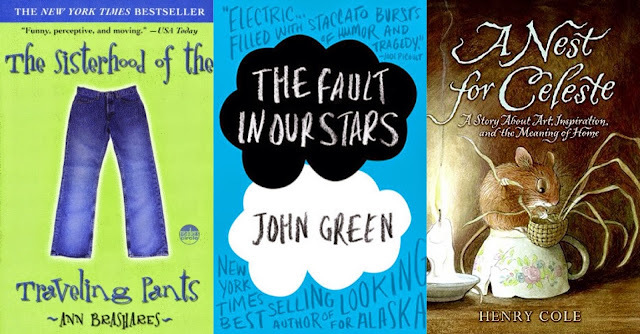 I've read John Green's The Fault in Our Stars and loved it. I've read these because of the movies I've seen or about to see. I've even read a kid's book: Henry Cole's A Nest for Celeste. I've stuck at it because I loved the pencil art in the book and it was nice to go back to the innocence of childhood. I suppose in reading them, I also wanted to check out what kinds of books are out there for my son, though I strongly doubt he will ever read these books. 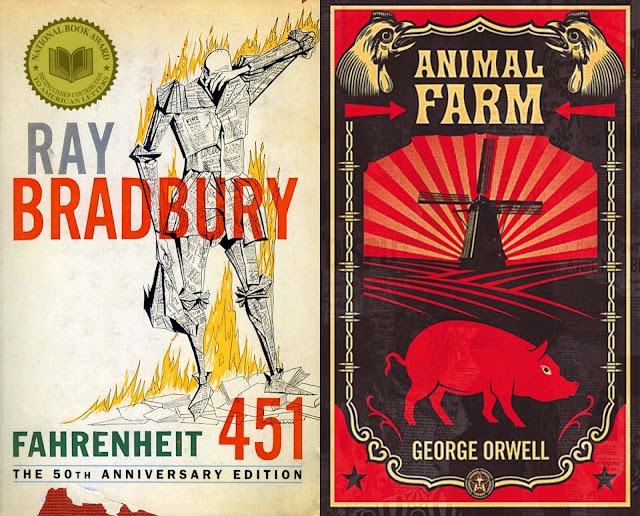 On the other hand, he seems to be more interested in books like Ray Bradbury's Fahrenheit 451 and George Orwell's Animal Farm. And I must also admit I have not even read these two books. And now I think it's time I get back to more serious stuff, and these two books may be a good start.